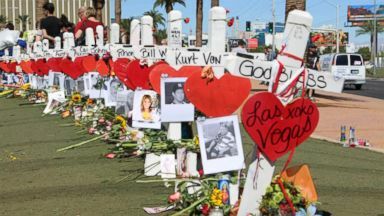 After a 10-month-long police investigation, surveillance footage and 3D models pieced together show the shooter's movements, and victims share how far they've come since that day. 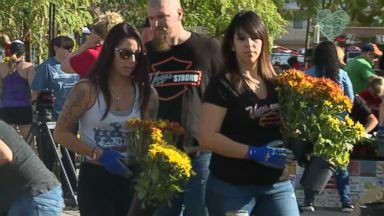 ABC News' Matt Gutman checks in with survivors of the Las Vegas music festival shooting one year after the tragedy. 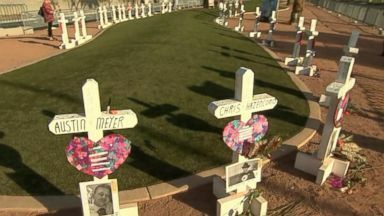 The 58 people slain in the Las Vegas shooting were honored in an emotional sunrise remembrance ceremony Monday marking one year since the massacre. 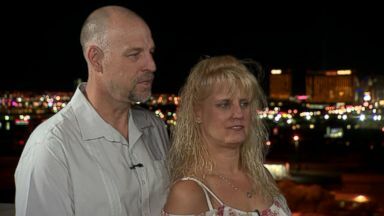 2 survivors of that mass shooting are trading pain for joy as they wed in Las Vegas. The couple said the shooting is "not going to define our lives."